While the Mariners’ minor league system isn’t descending en masse to the playoffs this season, there’s still been plenty of strong performances. NEW YORK — The team success wasn’t quite as widespread through the Mariners’ farm system this season. Last year, all the affiliates played in the postseason. This year, only the Class A Modesto Nuts have secured a postseason berth, but the Arizona League Mariners still have a chance to qualify. While the team success wasn’t at the level the Mariners would have liked, there were still some solid individual performances this season. The overall talent level in the organization is slowly starting to build at the lower levels after a few down years. 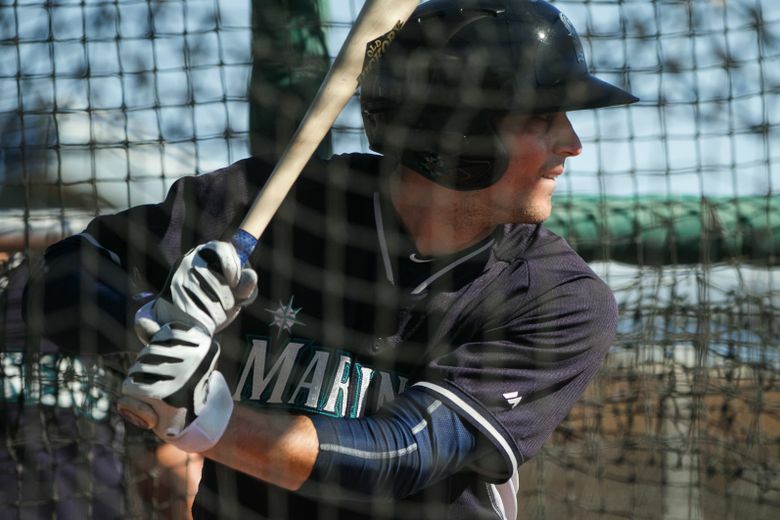 The Mariners will announce their cadre of organizational awards in the coming weeks. But with a week left in the minor-league regular season, here are The Seattle Times’ minor-league awards as chosen by The Seattle Times’ Mariners beat writer, Ryan Divish. A few years ago, the organization seemed to have a minimal number of speedy center-field types that could play defense, get on base and put pressure on the opposing defense. Under new general manager Jerry Dipoto, there is an abundance of them. But the former Husky and third-round pick in the 2015 draft had the best season. Always known to be an outstanding defensive outfielder and base runner, Bishop took a major step forward at the plate after spending the offseason working out with former UW teammate Jake Lamb. Bishop opened the season in the Class A Cal League, which is where he finished the 2016 season. He had immediate success in his return. In 88 games he batted .296 with a .385 on-base percentage, a .400 slugging percentage, 25 doubles, three triples, two homers, 32 RBI and 16 stolen bases. Bishop was promoted to Class AA Arkansas on July 21, and he’s been even better. In 30 games, he’s hitting .336 with a .417 on-base percentage, a .448 slugging percentage, nine doubles, a triple, a homer, 11 RBI and six stolen bases. He has reached base safely in 30 of 31 games with Arkansas, including 25 games with at least one hit. The Mariners’ top pitching prospect performed like it for much of this season. Neidert, 20, was recently named the Cal League pitcher of the year despite having earned a promotion to Class AA Arkansas on July 17. But that’s how good he was in his 3½ months with Modesto. In 19 starts in the Cal League, he dominated, posting a 10-3 record with a 2.76 ERA. Neidert struck out 109 batters in 1041/3 innings while walking just 17. He allowed three runs or less in 18 of his starts, and opponents batted just .244 against him. Of the more than 1,300 pitches he threw, 69 percent were strikes. He closed out his time in Modesto in dominant fashion, going 5-0 in his last five starts, posting a 1.45 ERA and striking out 27 batters in 31 innings. Neidert hasn’t been able to replicate that success at the Class AA level. He’s 1-3 with a 6.56 ERA in six starts with Arkansas. He left his last outing on Aug. 18 after being struck by a line drive. He was placed on the disabled list after suffering a deep bone bruise in his right forearm. While Thyago Vieira gets much of the attention as being the big power relief arm in the farm system, Festa quietly put together an outstanding season for Class A Modesto. A college starter when he was taken in the seventh round of the 2016 draft out of East Stroudsburg University of Pennsylvania and a part-time starter last year with short-season Everett, the Mariners converted Festa to a relief role and he’s flourished this season. In 58 appearances, Festa is 4-2 with five saves and a 3.15 ERA in 652/3 innings. He’s struck out 93 batters while walking just 19. Opponents were hitting just .230 against him. Like many former starters, Festa’s stuff has ticked up in the shorter stints, with his fastball touching 96-97 mph. After some early struggles adjusting to the new role, Festa went on a run of 23 appearances where he allowed runs in just three outings, posting a 1.09 ERA with 59 strikeouts in 411/3 innings. Over his last 29 outings, he’s posted a 1.84 ERA with five saves, striking out 73 batters in 49 innings.